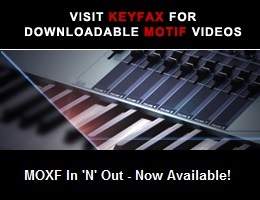 Viewing topic "Mox clock /digital delay midi Audio Sonic digital delay?" 1.) how do you set that up? What I am trying to do is avoid sending a voice through a recording within the mox8 , it is missing so much expression.../volume/effects...😙, so now I am thinking the comp/utter- ie:Cubase may be the way to go. No delineation of what I have created.....per midi track.../per voice?,everything having its own unique charachteristic,effects, peramiters ,etc,etc.....along with the A/D DD luminist garden.? Sorry you are in this situation with your MOX. The MOX absolutely can route the audio as it is to a computer from any of the four modes, including VOICE mode and it should sound exactly the same when recorded. The only thing to remember with VOICE mode is that you can only record one voice at a time. There shouldn’t be any reason why you can’t capture the sound of a voice in VOICE mode perfectly via USB to Cubase AI. When you play your MOX in VOICE mode and use it standalone, are you happy with the sound then? Is there enough volume, expression and effects for you like that? Is that what you want to record? A separate way of recording audio such as a computer with a DAW (Cubase), or a hardware recorder is the only way that you can capture audio from your MOX. The MOX doesn’t actually record audio of any kind. It has an onboard MIDI sequencer in SONG and PATTERN mode, but it is able to route digital audio, via USB, to a computer and DAW. The Source Audio One Series Nemesis Delay is a stereo delay pedal, and is highly unlikely to seen by Cubase as an audio interface and likely won’t work as one. The USB on it seems to be for MIDI and editing purposes. I spoke to a representative in their technical department and assured me it will clock via midi.